Venues and decorations go hand in hand. The venue dictates quite a bit as to what your decorations will be. Below are some cost savings tips I discovered as I was planning my own wedding. Make the Most of the Site. Our ceremony site. The ornate detailing of the church demanded simple decorative elements. Anything else looks over the top. One of the best ways to save on your décor is to find a venue that does not need that much in terms of décor. 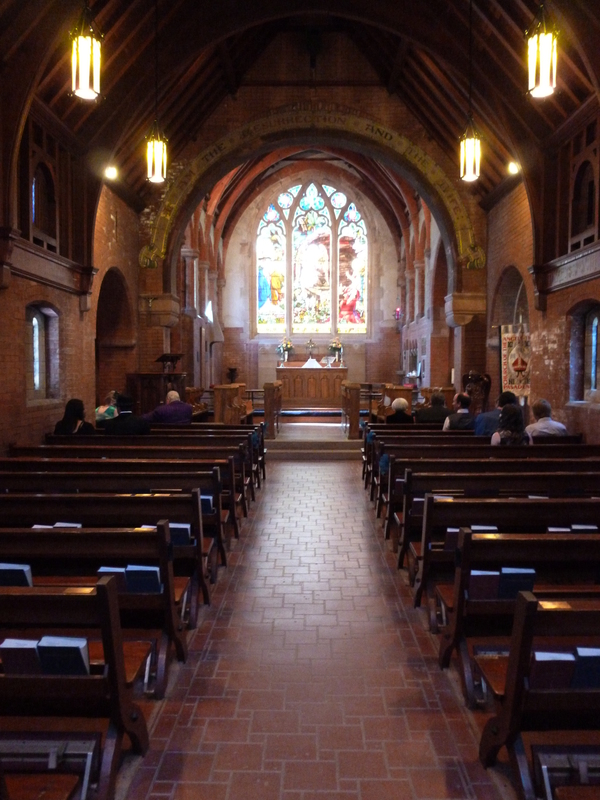 For example, the church we were married in, Church of the Angels, only needed a guest book area and some bows on the pews to signify family seating. Anything else would have detracted from the beauty of the venue. 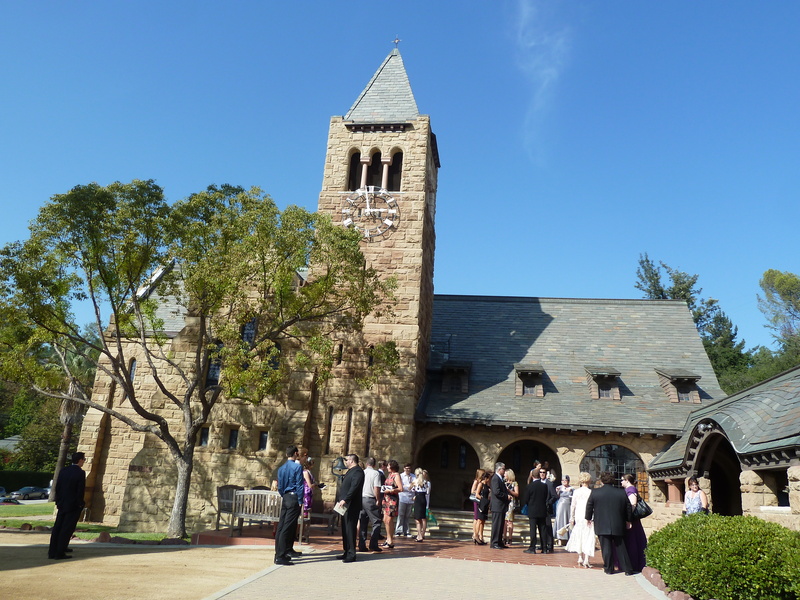 Constructed in the late 1800s, the church was built to mimic the grand style of European cathedrals and looked as if it had been plucked from the English country side and plopped down in the middle of Pasadena. It featured flying buttresses, stain glass windows, ornate and beautiful wood carved elements, amazing brick work and so many other period details. The same was true for our reception location. The building was an old bungalow used by the Maxwell family as their winter escape. 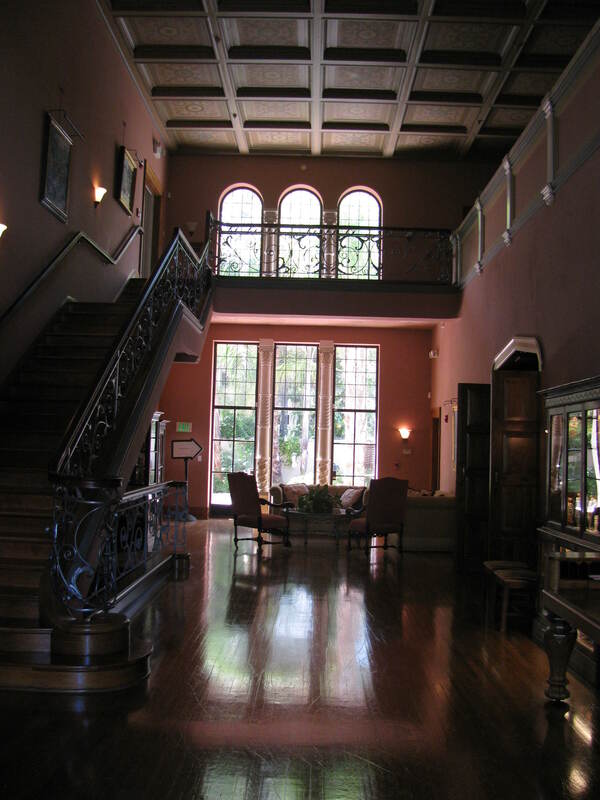 Now a city owned and operated building, it still featured much of its 1920s details and charm from Southern California artist work featured on the walls to the beautiful sculptured inset ceiling and ornate wrought iron staircase banister. The dining room had a grand fireplace with a plaster sculpted façade featuring detailed scrolling and was mirrored by a massive picture window. The entrance welcomed guests with a beautiful alcove and was fronted by a set of larger than life wood and glass doors detailed with scrollwork wrought iron. Like our church, there was little needed to “dress” it up. As a result, our flowers were limited to centerpieces and a few sprinklings of rose petals. Our rentals included the basics of place settings, serving ware, linens and a dance floor. There was no need for extra flower arrangements, decorative elements or lighting elements such as a monogram display, or “lighted decorative trees”. By picking sites that needed little to spruce them up, saved us major dollars that we could use elsewhere. Plus, it actually ended up helping me decide on what way I wanted the wedding to go…a fun 1920s prohibition era house party featuring a password and all (“Joe sent me” since my husband’s name is Joe). Pick an All in One Site. Another look at our ceremony site. You can see it was pretty well decorated on its own. If you pick a separate church and reception site, then you may find yourself duplicating other elements such as flowers and music. You may need flowers to decorate the church and then the reception. 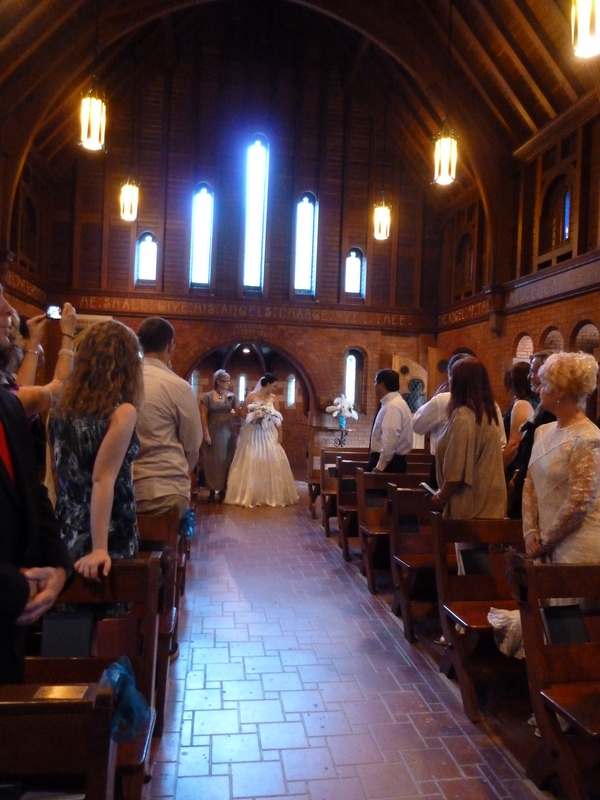 You may be required to hire the church musician and then a separate DJ for your reception. However, if you choose a venue that will work for both reception and ceremony, you can reduce these items in amount and cost. For example, my friend’s wedding was in the same location for ceremony and reception. After the ceremony, guests were asked to briefly step out for about 30 minutes (you can make this your cocktail hour too) while the room was converted to the reception by moving tables in where the chairs had been. This can also extend to décor as well. The site of my friend’s wedding was such a place – an event facility. As such, the décor was included in the rental costs. She selected from the decorations and themes available through the location. If you are not as set on what your wedding will be, like I was with the theme and location, then these event facilities can be a great option not only to save on budget BUT to help eliminate multiple items on your checklist. I do want to add one small little caveat to that, all inclusive places can, though not always, also cost more than if you are willing to do the leg work and hire vendors individually and you are limited to what they serve and allow. So be careful, just because its all-inclusive doesn’t necessarily mean it will save you money. Even the outside of our ceremony location easily stood on its own without extra décor. I think this is where I excelled with respect to décor. Over the years I have been gifted with or purchased quite a few decorating elements that leant well to the feel and theme we were going for. I was able to easily pull from my own stash of stuff to decorate our reception and wedding. Costs = $0! Can’t do better than that, right? I did purchase a few things for our wedding décor as well BUT these were items I knew I would use again in our home. My logic, if it’s going to cost me $15 to buy it or $15 to rent it, then if I am truly going to use it again, then I’m going to buy it and get my money’s worth out of anything I bought. Our Reception Site – a 1920s bungalow called the Maxwell House, now a city owned building. Weddings don’t always have to be in churches and receptions don’t have to be at country clubs or hotels. Think outside the box. My brother held his reception in a barn…okay jokes aside…it was a wonderful rustic venue that lent itself well to a fun barbeque buffet, birdseed favors, drinks served in mason jars and more. Plus, cost wise it was very inexpensive. My cousin got even more creative with her wedding. She approached the Northwoods Inn, a restaurant local to our area that looks like it is straight out of the alps, about holding her wedding and reception. They agreed to a discount on food and no charge to use the place for the wedding as long as she agreed they could advertise and use her wedding to do so. It was the first time that they had ever done anything like that so it was a great way for them to get into the wedding business. She got a great deal on her wedding. The dining area of our reception venue (pre flower centerpieces). Not the detailing on the fireplace, the windows, doors. It really didn’t need much. Want an outdoors wedding but not the cost of a facility or venue, check with your local cities and see about renting their parks or venues. Our city has an awesome old mansion with a park near, both at extremely reasonable rental costs. In our mountains, there is a beautiful old historical lodge that the city of Crestline owns that was once the private San Moritz Lodge for the wealthy to use when they came up from the city. The gorgeous lodge is backed up to the most amazing tree lined view of the lake. Cities have these not well known gems and as such, they can cost a fraction of the cost of typical wedding venues. Speaking of cities, many municipal buildings feature amazing architecture that play well to weddings and usually require little for décor. In our local area, the Pasadena City Hall has a center garden that is perfect for a garden wedding. 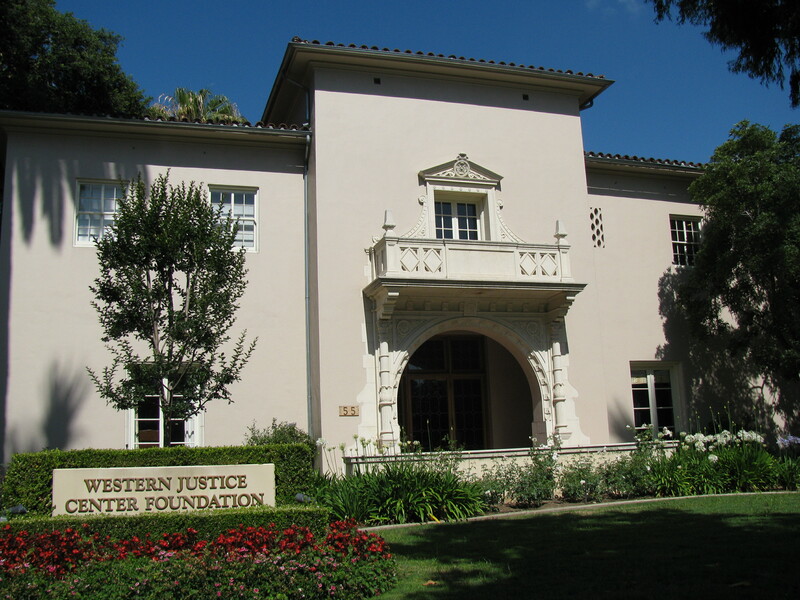 The Metropolitan Water District building in LA has classical Art Deco architecture. But don’t forget about museums too – art, natural history, car, train, gardens, etc. Interior of our reception site. We used this area for the dancing and mingling. As you can see the architecture stood for itself quite beautifully and needed little décor. Okay…I would not advocate doing a backyard wedding for everyone BUT it is a great way to save money. Plus, if it is a smaller wedding, it gives it a real sense of intimacy. Also, I know a few people who used their connections with wealthier friends and larger backyards that are more manicured and tailored for their weddings. (Truthfully, if I could have made our friend’s Joyce’s backyard bigger and moved it to Pasadena, I would have LOVED an English garden wedding in her backyard.) 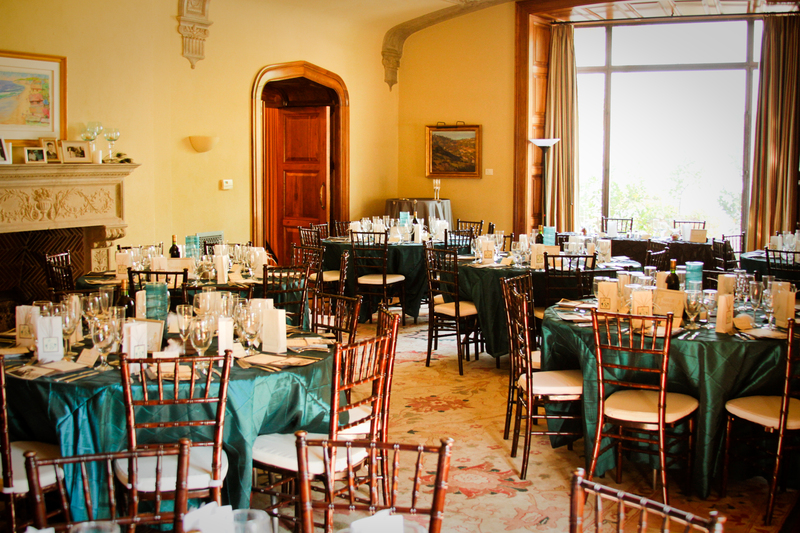 In fact, there are several mansions that get rented out as wedding venues too. However, anytime you can use something you own or that a friend lends you, you save big!!!! There are so many more ideas to save on décor and venues and these are just the tip. I do again suggest getting Bridal Bargains (see Weddings: Dreams Fulfilled or Budget Busters (Part 1)). See you for my next post in this series. And drop me a line to let me know some of the amazing things you are doing or did to save your budget during your wedding.